Manage your menu items and build your menu. 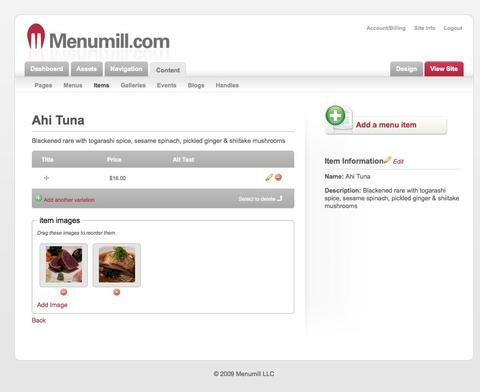 Create multiple variations of items with different pricing, add photos of your entrees, all with the ease of use that you have come to expect from Menumill. Items support multiple variations. 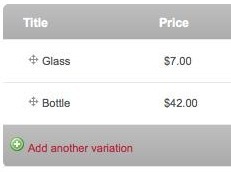 Especially useful when you have different prices based upon sizes such as Glass or Bottle. You can also use text such as 'Market Price' for items. 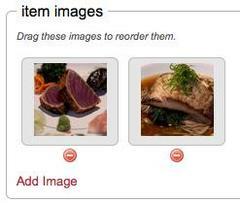 Liven up your menu with mouth watering photos of your items.